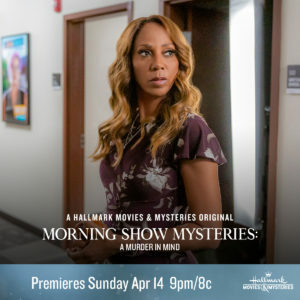 Ever since watching the first one in January 2018, I have been anxiously awaiting a new installment in the Morning Show Mysteries movie series. The wait is almost over! 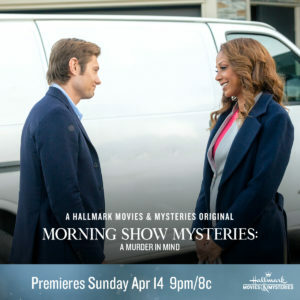 This Sunday, April 14th, Morning Show Mysteries: A Murder in Mind premieres on Hallmark Movies & Mysteries at 9pm/8c. Billie Blessings finds herself right in the middle of another murder. This time around, she’s trying to clear a former employee, Katie, of a murder. I’ll be tuning in and live-tweeting of course over on Twitter @xbrookeb28x and I’d love for you to join me. Be sure to head over to Hallmark Movies & Mysteries for more information on Morning Show Mysteries: A Murder in Mind. 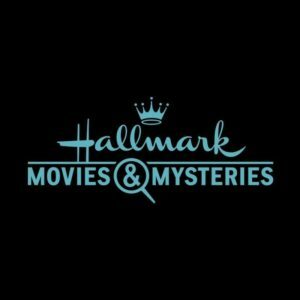 And tune in this Sunday, April 14th at 9pm/8c to watch with us!